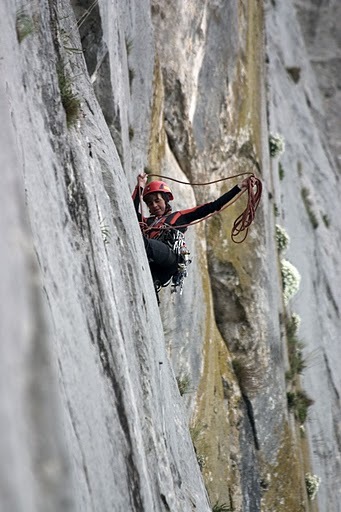 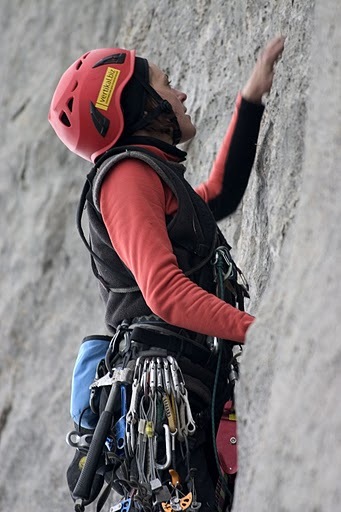 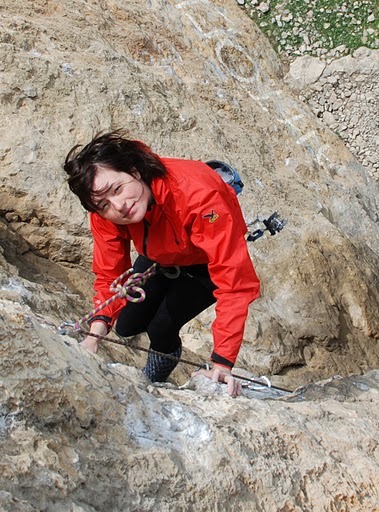 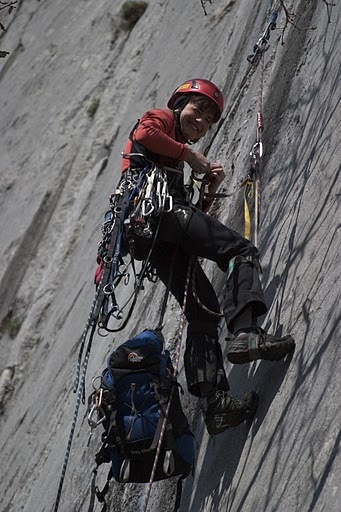 Ukranian Marina Kopteva (one of two CIS female climbers we ever have) completed the first female solo ascent on Marcheka (981m, Crimea) via Center (6А, VI+, C2, 335m). 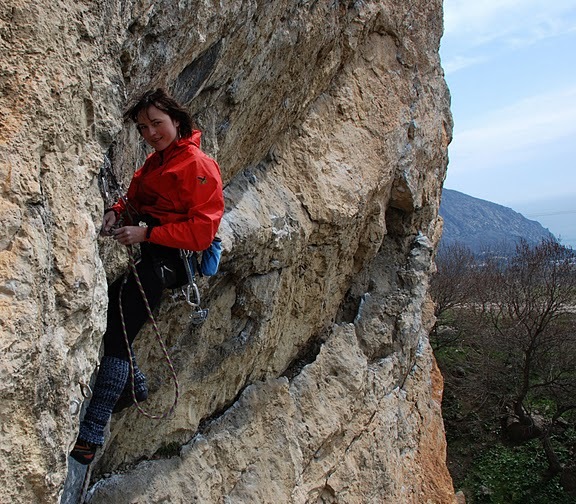 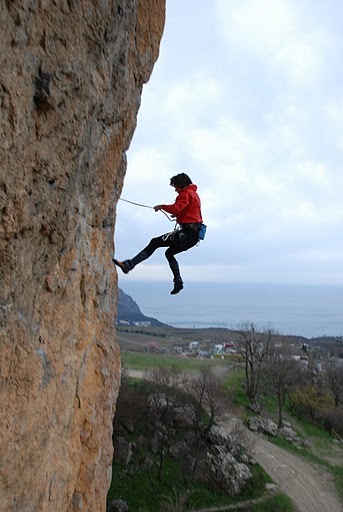 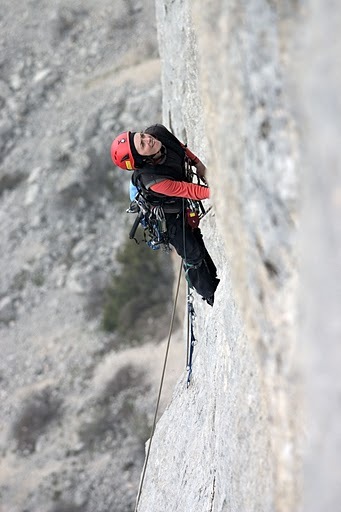 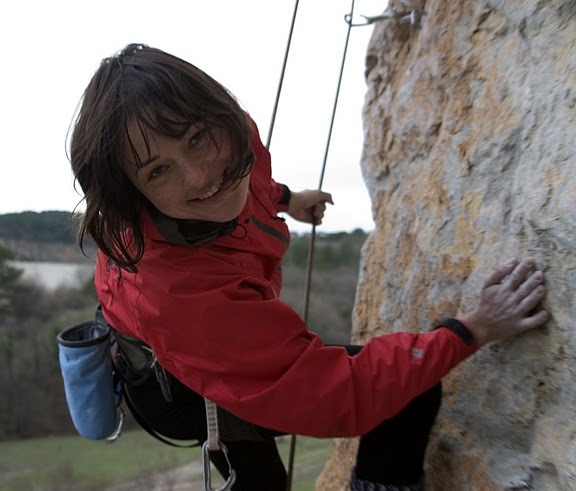 It seems the first female solo ascent on Marcheka and probably the first female solo ascent in Crimea. 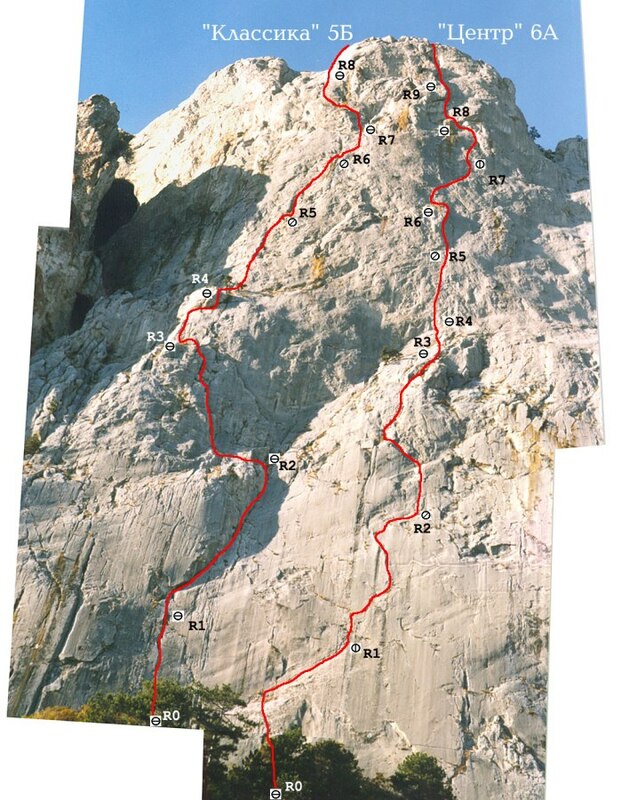 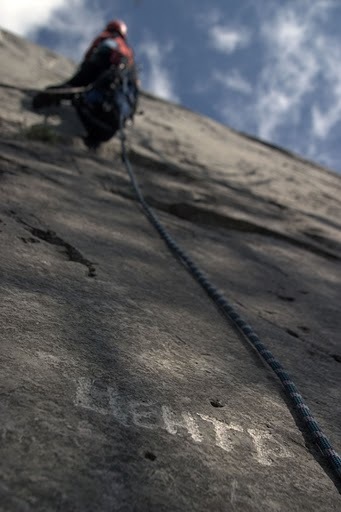 "Center" considered as the most difficult route on this wall for a long time. 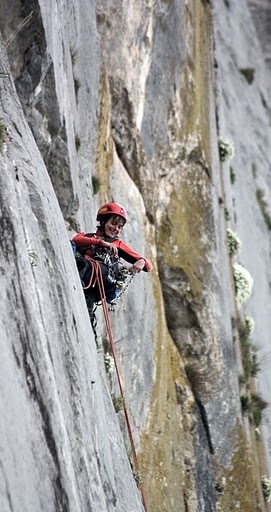 Now there are more difficult routes. 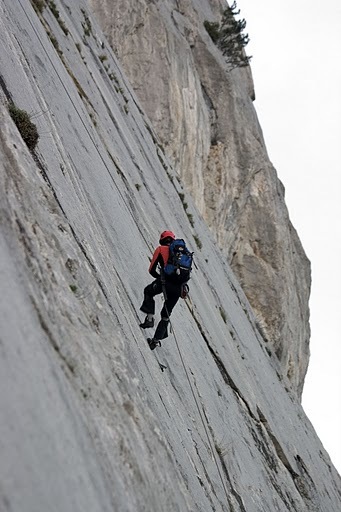 Long route with many traverses that makes it not so good for soloing. 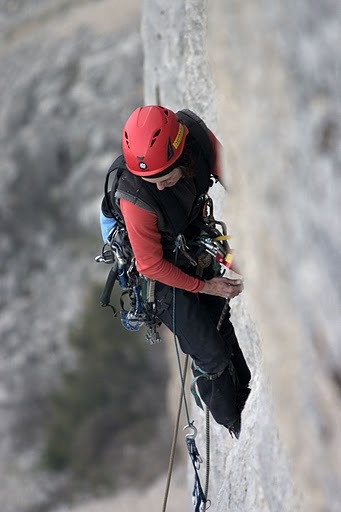 You may find good bolts but you still need your own pieces for protection. 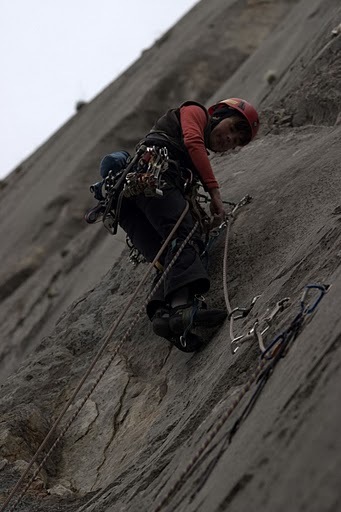 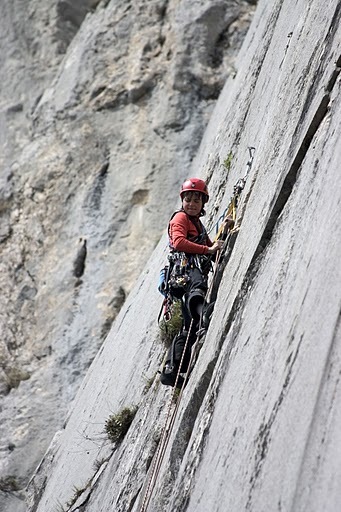 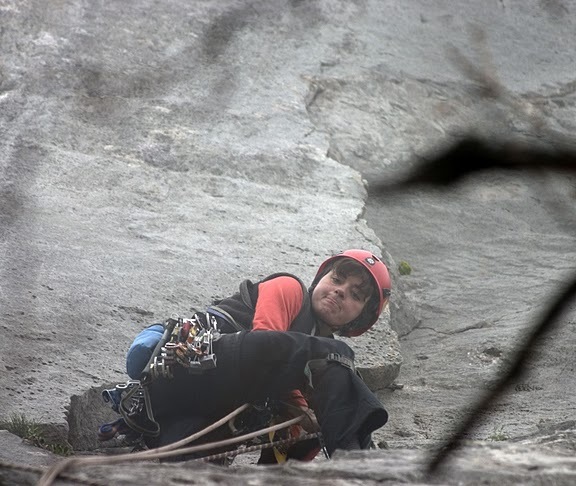 If my memory doesn't fail me there were only two solo ascents before: made by Yuriy Lishaev (a.k.a. 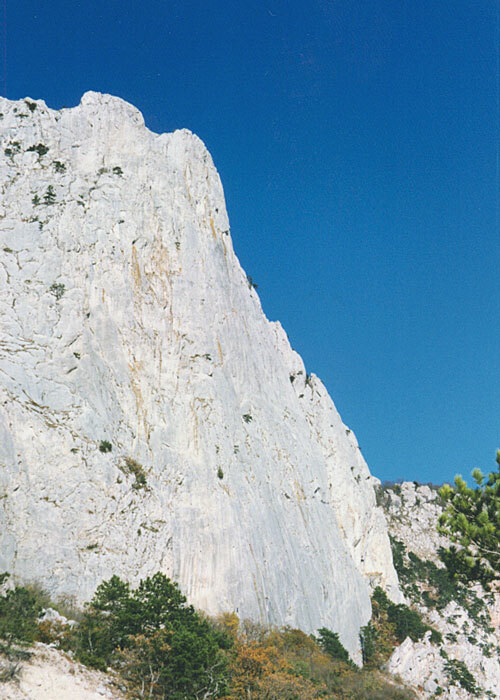 Fantik) in the eighties and Mikhail Voloshanskiy in 1987. 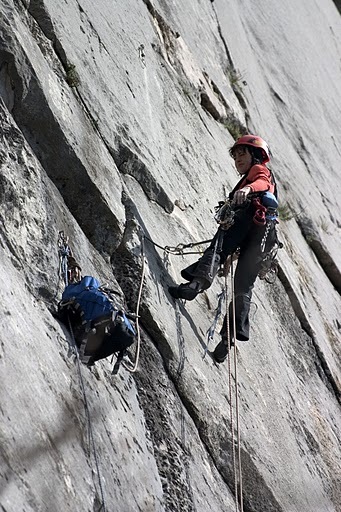 And several more solo attempts.